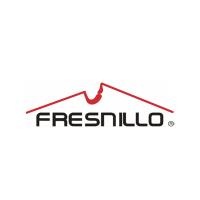 Shares of Fresnillo Plc EPIC code: LON:FRES has slid -1.87% or -16.43 points in today’s trading session so far. Investors have so far given a mostly negative outlook during the session. Range high for the period so far is 882 while the low for the session was 860.17. The total volume of shares exchanged through this period comes to 315,348 whilst the average number of shares exchanged is 1,775,511. The 52 week high is 1364.5 amounting to 487.9 points different to the previous business close and a 52 week low sitting at 737.6 a difference of some 139 points. Fresnillo Plc has a 20 SMA of 853.25 and now the 50 day simple moving average now of 906.83. The market capitalisation is now £6,325.90m at the time of this report. The share price is in Great British pence. Mcap is measured in GBP. This article was written with the last trade for Fresnillo Plc being recorded at Tuesday, April 9, 2019 at 12:10:41 PM GMT with the stock price trading at 860.17 GBX. Shares of Barratt Developments Plc found using EPIC: LON:BDEV has declined -1.77% or -11 points during the course of today’s session so far. Market sellers were not positive throughout the trading session. The high for the period has peaked at 621.4 and hitting a low of 607.8. The total volume of shares exchanged so far has reached 940,179 whilst the daily average number of shares exchanged is just 4,362,009. 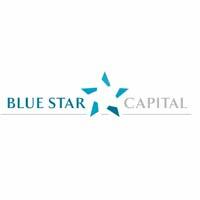 A 52 week share price high is 628.07 equating to 8.27 points different to the previous business close and a 52 week low sitting at 430 a difference of some 189.8 points. Barratt Developments Plc has a 20 SMA of 613.1 and now a 50 day moving average now at 592. The current market capitalisation is £6,174.88m at the time of this report. The share price is in Great British pence. Mcap is measured in GBP. This article was written with the last trade for Barratt Developments Plc being recorded at Tuesday, April 9, 2019 at 12:11:31 PM GMT with the stock price trading at 608.8 GBX. The share price for Taylor Wimpey plc with EPIC code: LON:TW has declined -1.38% or -2.55 points during today’s session so far. Investors aired on the negative side while the stock has been in play. The periods high has already touched 185.85 and a low of 181.7. The total volume traded so far comes to 3,708,644 with the average number of shares traded daily being 15,085,609. The 52 week high for the share price is 206.2 which is 21.7 points difference from the previous days close and putting the 52 week low at 127.8 making a difference of 56.7 points. Taylor Wimpey plc now has a 20 simple moving average of 182.29 and a 50 day moving average now of 176.44. Market capitalisation for the company is £5,966.71m at the time of this report. Share price is traded in GBX. Mcap is measured in GBP. This article was written with the last trade for Taylor Wimpey plc being recorded at Tuesday, April 9, 2019 at 12:10:40 PM GMT with the stock price trading at 181.95 GBX. Click BDEV FRES TW for the full archive.